Brooke Sullivan’s carefully ordered existence is spiraling out of control. Two years ago, she was violently abducted by a terrorist group and nearly killed. She’s worked hard to get her life back on track—moving to a new house, changing careers, going on a couple of dates. When she witnesses a murder, she’s plunged into a new nightmare. And as the past threatens to repeat itself, she’s not sure she’ll survive this time. Cade “Saint” Rodgers never forgot the beautiful girl he talked to at the wedding of his commanding officer. 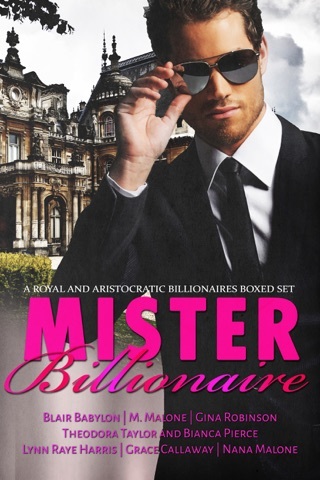 Now she’s in trouble, and he’s the one tasked with protecting her. Brooke is terrified of men like him—a Black Ops soldier for whom violence is a way of life—which makes falling for her a terrible idea. But that won’t stop Cade from using every sensual trick he’s got to make her believe anything is possible if only she wants it badly enough. How can you NOT love Cade "Saint" Rodgers, with a D? The guy literally lives up to his handle. He is patient and understanding. Brooke Sullivan, with an E, brought home the fact that it really does take time to heal all wounds. It's been two years since she was kidnapped and held and she still has issues that aren't resolved. There were a couple of things that bothered me about this story, preventing a five star rating. 1. Brooke seemed to get over her lingering issues way to fast once she and Cade came face to face and he rescued her from the hospital. 2. HOT went off on a mission without any authorization. Don't they have to justify this mission to someone? 3. Why did Delta team recover the weapons and not the DEA or ATF who were supposedly investigating? With that being said, I did enjoy the story. I'm curious if we ever find out what happens with the security guard and if his daughter recovers or if it takes time for her to work through everything. Maybe she could be a love interest, or female HOT member, for HOT, the Next Generation. It was good to see Echo squad getting their books. I'm looking forward to more from these team members. Exciting and intricate 5 star plot! This series just keeps getting better and better! Brooke Sullivan is a woman who lives with the fear and anxiety that have been her constant companions since she was kidnapped and physically assaulted two years ago. 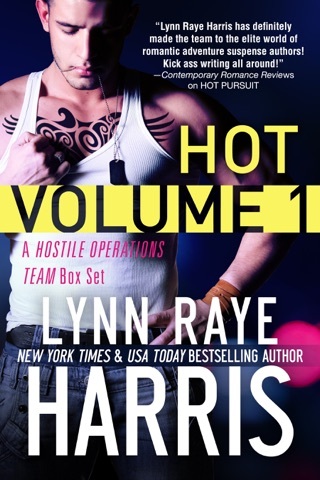 So when HOT team member, Cain Rodgers, whose call name is Saint, approaches her offering friendship she’s rightfully cautious, but Cain has a way of quieting her fears and putting her at ease that really touched my romantic heart. He’s in it to win Brooke’s heart and he’s willing to wait and help her overcome her fears which certainly makes him a hero in my eyes. 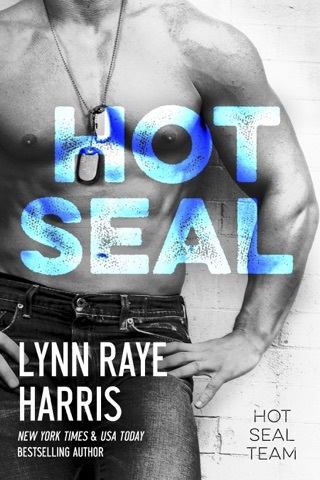 I loved the chemistry between these two characters, and Ms. Harris has written another exciting and intricate plot loaded with danger and intrigue that keeps me in on the edge of my seat while it satisfies the alpha military romance junkie in me. I read an early copy of this book and all opinions expressed in my voluntary and unsolicited review are completely my own. Cade and Brooke may be my favorite HOT couple ever! I was in love with them from the first text and thoroughly enjoyed their banter and their sweet and naughty texts. They were both so relatable for me and I loved the dynamic of her having a dog. The character development was so well done that Incould picture everyone from the doorman to the creepy neighbor, which is something I’ve come to expect from Lynn’s books. 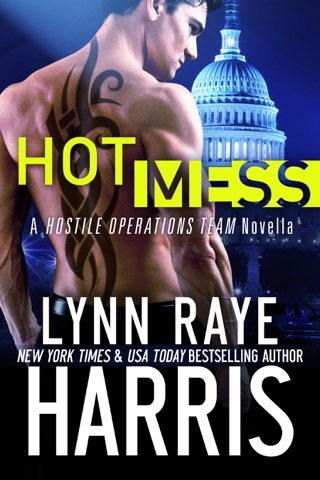 This was another hit, and leaves me hungry for the next installment in the HOT series!